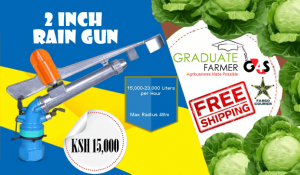 If you want a bumper harvest as a farmer, the secret is being innovative. Peter Wambugu Kago, an apple farmer from Nyeri County, can attest to this fact. 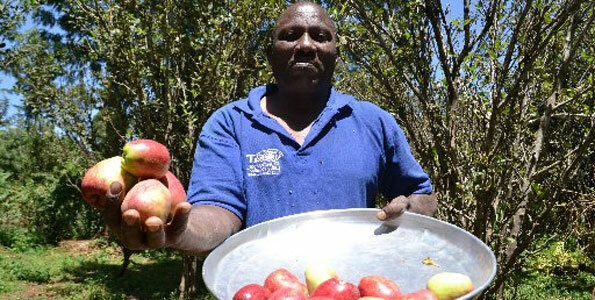 Wambugu creates his own apple varieties. So far, he has created eight apple varieties, which he grows on his 20-acre farm in Ihwa village nestled between Kinunga and Ihururu Hills in Nyeri County. “I was always fascinated by apples. They are so nutritious yet so expensive because most of them are imported from South Africa and Israel. 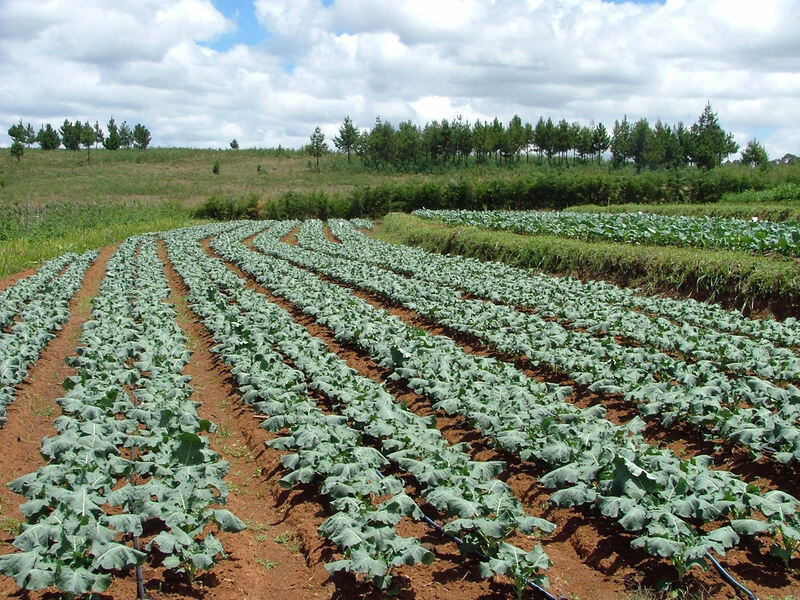 I always wondered why we could not grow our own yet the environment is cool?” Wambugu says. He did his research and discovered that the apples, which are imported are grown using harsh chemicals. “I also learnt that apple trees from Israel were susceptible to disease and they would take up to two years to mature. I was challenged as a farmer to create an alternative,” he shares. So the next question was where to get the fruit trees? “I heard stories from my village mates about apple trees, hidden in the forest by the Mau Mau fighters to provide them with food. I went into the forest to search for them,” Wambugu explains. He found the apple trees and uprooted them and went to plant them on his dad’s farm. “Out of curiosity, I grafted them with the Israeli variety that was already on my dad’s farm. 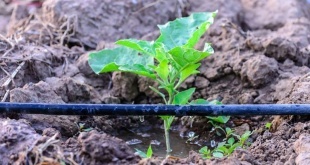 I was excited to see the apple tree seedlings thriving and after only nine months, it had matured and bore fruits, which were more than thrice the size of ordinary apples in the market,” Wambugu says. He sold the apples to the locals and they loved it. Within no time, big shots like Kenya Agricultural Research Livestock Organisation (Karlo) officials heard of his invention they paid his farm a visit. 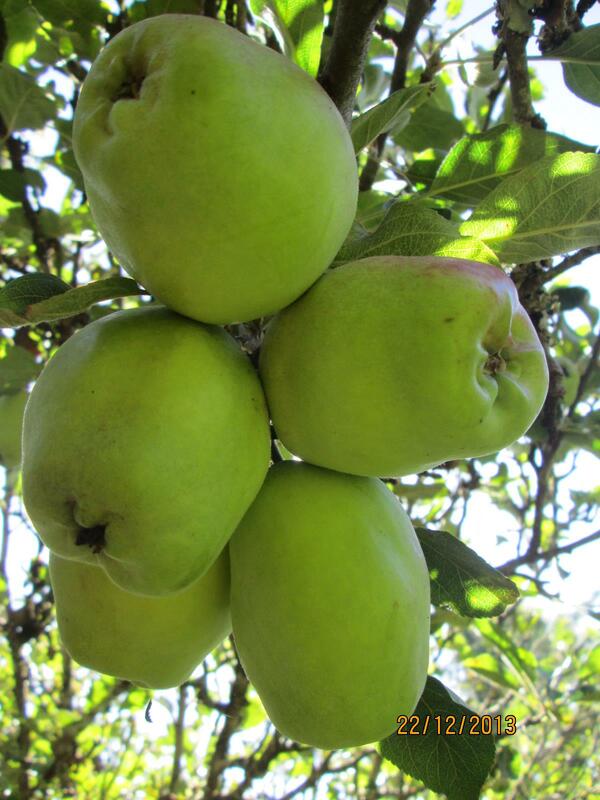 Karlo officials were so impressed, they named the apple variety ‘Wambugu apple’. And since then, his fortunes changed as he keeps coming up with new varieties. His apples are so much on demand, he is the major supplier to supermarkets, hotels and institutions. “The apples are on demand for two reasons — their size and because they are organic. I also do not use any chemicals be it pesticide or fertilizer,” Wambugu says. 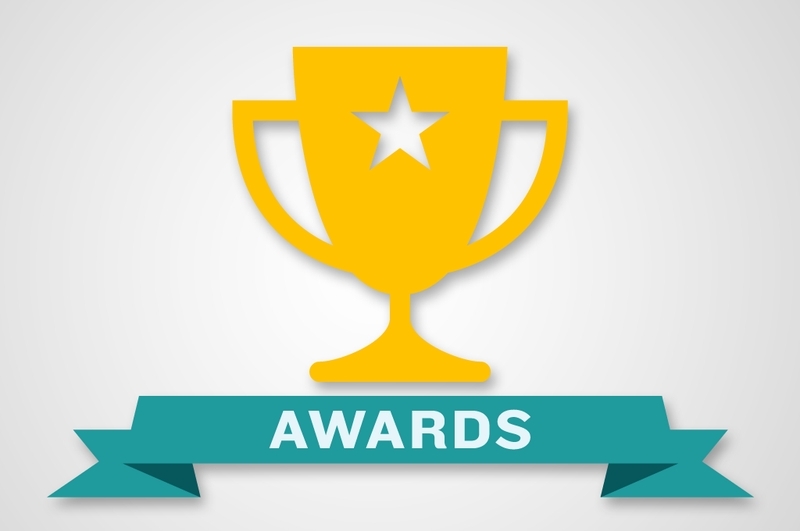 Recently, he won a tender to supply fruits to Mt Kenya Safari Club in Nanyuki. He reveals that there have been requests for his fruits from Uganda, Tanzania, Democratic republic of Congo and Denmark. 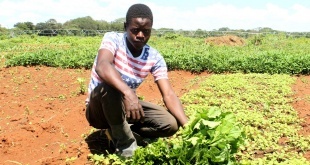 “I can’t fill all the orders because most of the time there is a waiting list, there is room for more people to engage in this type of apple farming.” When the fruits are not in season, Wambugu sells the seedlings with one ‘Wambugu apple’ seedling fetching Sh 1,000. “It’s a unique and special species of apple tree, so most of the people ordering the seedlings are willing to pay more for it,” Wambugu says. What surprises many is the fact that he has no formal training on research or farming technology, yet he comes up with such impressive varieties. “I spend sleepless nights coming up with ways to graft and blend different trees and then try it. Many of my tests fail, but the few that succeeded exceed my expectations,” Wambugu says. 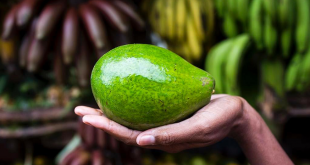 For Wambugu, each tree can produce up to 2,000 fruits and he in turn sells each fruit for Sh100, which translates to earning a minimum of Sh20,000 per tree. 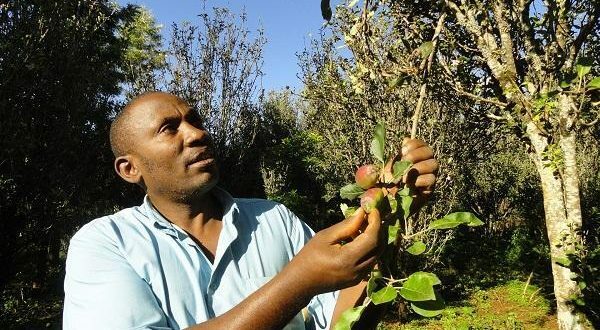 He has planted more than 1,000 trees on his farm in Ihwa but has also purchased an additional 23 acres of land to plant more apples in Kieni Sub County. Despite the fact that Wambugu appears to have ‘arrived’, it has not always been this rosy. “Before I started, I was a struggling jua kali mechanic in Nyeri town, some 15 years ago. 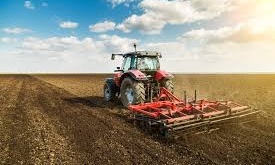 Out of frustrations, one day I quit to try my hand in farming. I started my project on my dad’s small farm,” he explains. He says he started small with nothing, but with hardwork and determination, he is where he is. 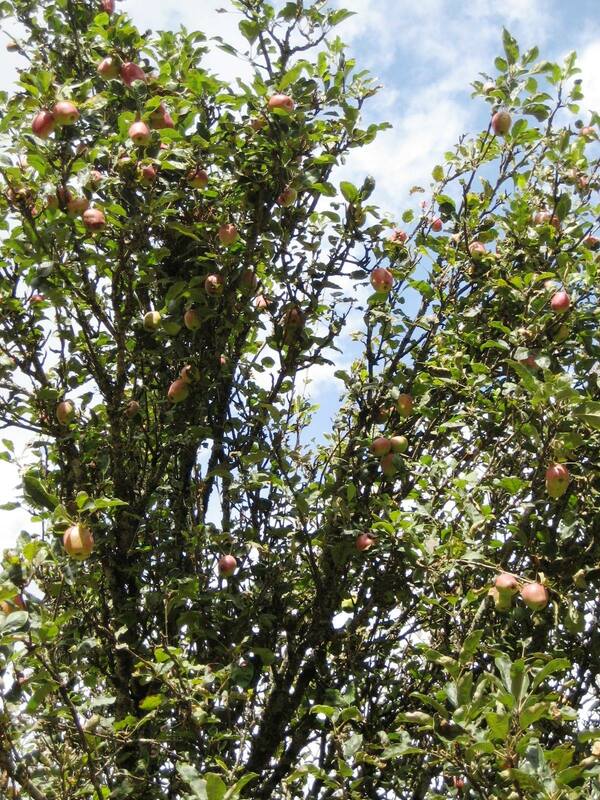 Wambugu has raised his family of six children from growing and selling the apple trees to hotels and tourist resorts. “My youngest child is in university. To give back to the community, I have decided to sponsor at least ten children and pay their school fees and offer them shelter in my home,” says the innovative farmer. What next for him, we ask? “Peaches are my new project. I have four peach trees but I have faith they will make more money than apples,”Wambugu says. He says one peach tree produces at least two kg sacks of peaches and one sack fetches Sh90,000. “Maybe I will graft an apple and a peach and see what happens, but for now, am going to see how to increase the peaches on my farm,” Wambugu quips as he proudly notes that an apple a day keeps the doctor. Hi! I would like to order apple seedlings from the Wambugu farm. Especially if he has the pink lady type of apples. I would also appreciate if he could confirm if the seedlings can do well on black cotton soil. Can I get his contact? 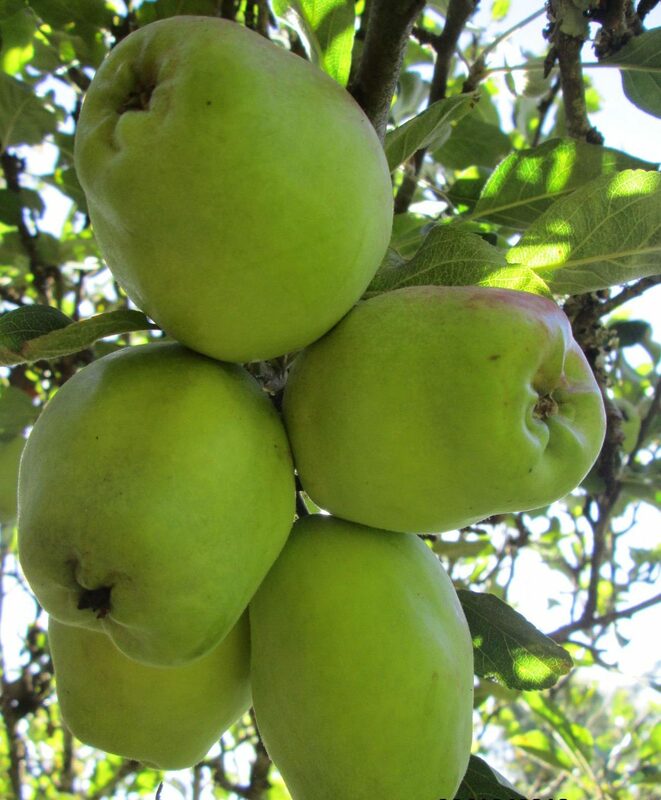 Am a 2nd year horticulture student and I am interested in trying out the apple farming….can; get Mr wambugu’s contacts?? Can apples grow in Nakuru? Elementaita in specific. i will pay Wambugu a visit. Can these apple grow in rivers state Nigeria? This is wonderful. I’d wish to have Wambugu’s contact. I need to pay him a visit to learn more. Hoe can i access him? Impressed. Forward me his contacts. I have tried the access telephone number you gave me 0241108233 severely but could not get through am calling from outside Kenya so l add +253241108233 but still could not get through. Hi. Who do you want to contact? 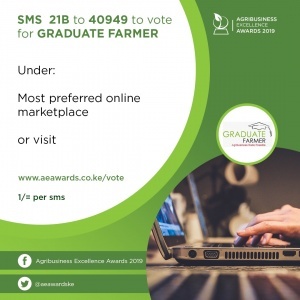 Graduate Farmer… I would like to sincerely thankyou for what you’re doing. I came across this site just today and I’ve gone some of your articles and I simply love them .its great to see young people thinking out of the box. 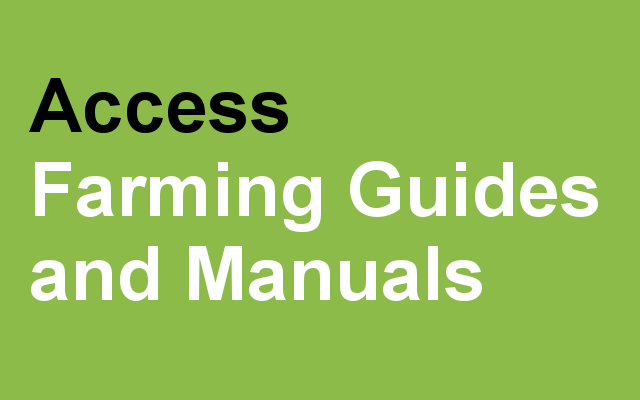 Planning to start agribiz hope in some fee years to cone I’ll give you an article as well. Kufos and great inspiring work..